Beautiful experience in the middle of rainforest waterfalls! Litchfield park is really worth to visit! The tour is a must do and you need to experience the natural pools. Unforgettable experience swimming there. Comfortable bus and a high professional guide. This tour was one of the highlights of our vacation. I was fascinated by the different termite mounds to be honest, this was a must-see for me sciencenerd, and the two main waterfalls - Florence and Wangi were both stunning. Because the hike to and from Florence Falls took most of our time, we didn't swim in the pool below the falls. 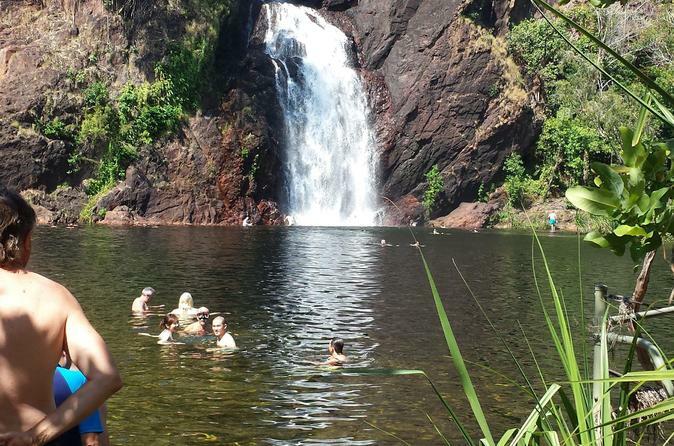 Instead, we were given about an hour to swim at Wangi Falls and it was glorious! The water was cold and clear, and the falls were gorgeous. It was perfect for a hot day of sightseeing. Our driver, Sandy, was full of information about the area too, which made for an interesting tour. It is an amazing place to see and must be one to tick off the bucket list of Australian special spots. Great day, a must do. 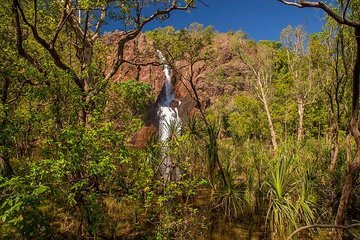 Really enjoyed the tour to Litchfield National Park from the expert driver/guide right to the cool swims in the waterfall pools. Great tour. Went to Florence Falls, Tolmer Falls, Wangi Falls and the termite mounds. Our driver, Dale, was very informative and was very considerate of all passengers. One of the highlights was having a swim at Florence Falls pool. Most refreshing. I would recommend taking this tour!! Great day out with Deb who was an excellent guide and kept us all amused and interested on our journey. A very good lunch provided and after quite a long wet season the waterfalls were spectacular.